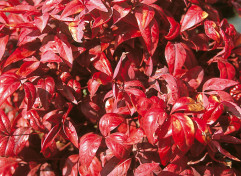 A beautiful elegant shrub with dark green glossy foliage. 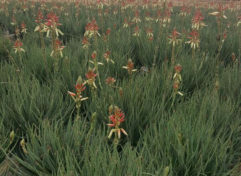 Mature plant size may vary due to growing conditions and climate, ±4m x 3m. 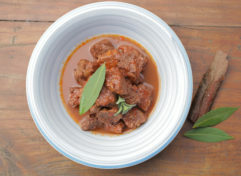 Winter is all about comfort food and that means slow cooking; simmering soups and stews for hours until the meat drops off bone. 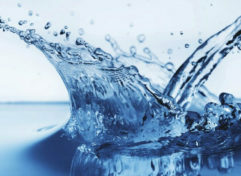 This month at Water Wise "Keep the freeze at bay, the Water Wise way" Winter has arrived and the temperature has already dropped. 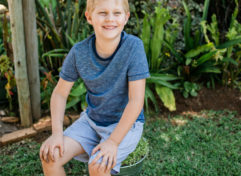 Perfect for those who enjoy sitting in the garden or gathering round dad’s braai, the grass pot-stool will keep your children excited to be seated! 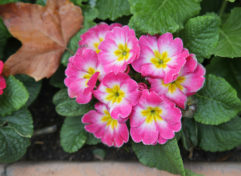 The so-called ‘bleakness of a midwinter garden’ is a total myth, as many plants (whether indigenous like aloes, or exotic like camellias), flower with abundance in winter. 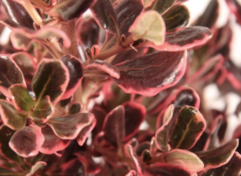 Glossy and almost polished leaves denote that this plant is often referred to as the mirror bush. 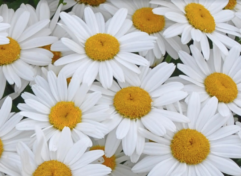 This outstanding plant provides masses of stunning white blooms with large golden centres that create a wow factor in any garden. 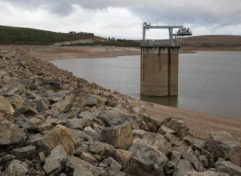 In this issue: Local and international water news Updates on water restrictions in your province Weather Dam capacities Drought information and FAQs Water Wise Tip of the Month from Leslie Hoy "At this very cold time of year, if you run a tap to wait for the water to heat up, please collect the cold water in a bucket and use it to water your plants". 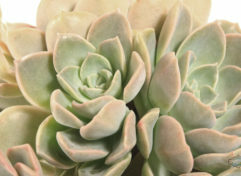 Desert Rose is a rosette-shaped, clump-forming succulent. It grows best in full sun to partial sun. 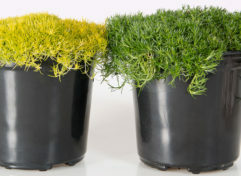 Scotch Moss is an evergreen perennial groundcover that forms a very low moss-like carpet of bright neon-yellow foliage. 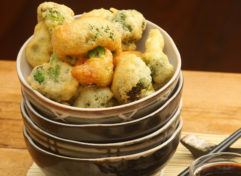 It is hardly an exaggeration to describe broccoli as “the wonder vegetable”. It is the most nutritionally rich of all vegetables and, as everyone knows by now, a major agent in preventing different kinds of cancer and heart disease. 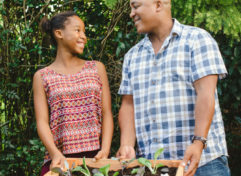 A dad is a son’s first hero and a daughter’s first love. He is the one who picks you up, brushes you off and lets you try again. 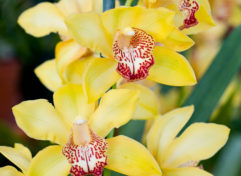 June might be a cold and gloomy time in South Africa but it’s the highlight of the year for Cymbidium orchid lovers! 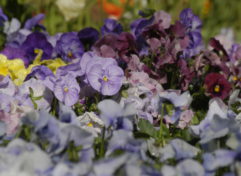 One of nature’s gifts to us during winter is the sweet, fragrant face of pansies and violas. 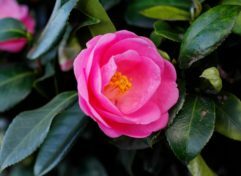 June in your garden Avid gardeners will tell you that their lifelong love of gardening and plants probably originated from the gift of a cool plant such as a cactus, bonsai tree, fly catcher, or a little love palm when still only a child. 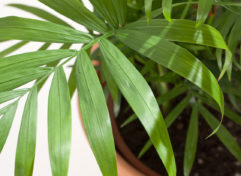 The new variegated growth emerges bright yellow with a light green center throughout spring gradually turning to golden yellow with a deep green center into the summer months. 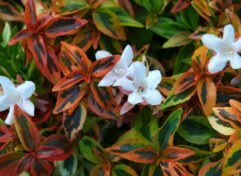 Nandina domestica is an elegant small evergreen shrub of upright, bamboo-like habit, the compound leaves with lanceolate leaflets that turn bright fire red during winter. 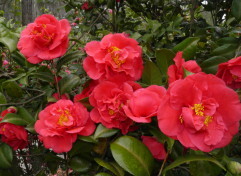 Delightfully fragrant and vigorous, award-winning Camellia japonica ‘Kramer’s Supreme’ features large, brilliant red, peony-form blossoms, 12 cm, opening to reveal a dazzling array of golden stamens. 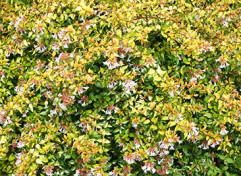 Abelia ‘Frances Mason’ – Lovely foliage plant, with bright golden foliage, such a versitile plant, suited to any garden, sun, hardy, containers, beds, topiary or box hedges.